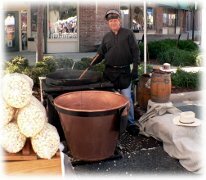 Residents of Sugarmill Woods enjoy the many year round festivals that Citrus County has to offer. 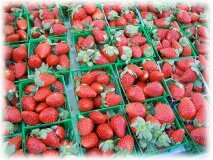 Spring marks the beginning of the festival season and many people kick it off with the FLORAL CITY STRAWBERRY FESTIVAL. The festival is held in MARCH each year as the fresh strawberry crop is in full harvest. You can get them by the berry, by shortcake, by the flat or covered in chocolate! Over 120 craft vendors (all work done by hand) will offer an array of items to please all areas of interest. Each day will include continuous live entertainment, contests, children games and activities and over 200 art and craft booths and over 25-food booths to tempt your appetite. Special features include an antique car show, pony rides, rock climbing wall, pie eating contest and Strawberry Princess pageants & continuous children's activities. The end of MARCH marks the beginning of the CITRUS COUNTY FAIR, a much anticipated event for children and adults of all ages. The fair features everything you expect at a county fair. Agriculture, horticulture, fine arts, commercial booths, food concessions, livestock shows, carnival rides and live entertainment. Many boating events are held in APRIL including the CRYSTAL RIVER BOAT BASH and the CITRUS COUNTY BASS CHALLENGE. The month of MAY features the CITRUS COUNTY BIKE FESTIVAL, the annual TATES OF INVERNESS, as well as the NATURE COAST FRIENDS OF BLUES concerts. JUNE welcomes the annual COBIA FISHING TOURNAMENT, HOMOSASSA RIVER FIREWORKS FESTIVAL as well as the popular YULEE DAYS. The Florida Public Archeology Network, the Yulee Sugar Mill Ruins Historic State Park, the Homosassa Civic Club, the Old Homosassa Villages Association, and the Old Printing Museum and Museum Café - present a day of history, heritage, music and more as a YULEE RAILROAD DAYS event. The Yulee Sugar Mill Ruins include the limestone boiler and chimney from Yulee's 1849 sugar cane mill, part of his coastal plantation at Margarita. The mill chimney is one of the oldest standing structures on Florida's west coast and the oldest in Citrus County. David Levy Yulee was Florida's first US senator. Yulee was also responsible for the first cross-peninsular railroad, connecting Fernandina on the Atlantic coast with Cedar Key on the Gulf. Situated along the Homosassa River, Yulee's 5,000 acre plantation Margarita was burned during the Civil War, but his cane mill was never captured. During the festival you will experience re-enactors dressed in period costumes, park interpreters, and guided tours of the sugar mill ruins will take place throughout the day. You can even see how cane syrup was made on a 19th century cane grinding mill. In JULY you can experience the spectacular fireworks displays in Inverness and Crystal River. You also will not want to miss the UNCLE SAM SCALLOP JAM & ROAD RALLY sponsored by the Rotary Club of Crystal River. Come join the fun with four live bands, food and craft vendors, Beer and wine, even a magician. In SEPTEMBER things get rolling again with the HOMOSASSA RIVER RAFT RACE and the annual CHRISTMAS IN SEPTEMBER with many exhibitors, decorations, food and gifts galore! Many eco tour events are also available including the Crystal River Preserve State Park Eagle Nest Boat Tour, Homosassa River Springs Tour, Crystal River National Wildlife Refuge Tours, Crystal River Springs Tour, Crystal River Eco Water Taxi Tour, Moon Over The Mounds, and Three Sisters Springs Open House. The end of SEPTEMBER is also host to the annual OKTOBERFEST. The German American Social Club invites you to celebrate Oktoberfest with live music and dancing, great food, and carnival rides for the kids. In OCTOBER the Arts and Crafts fairs are in full swing. There is the annual Fine Art and True Craft Show, Market Day with Art - Homecoming, Super Saturday in Floral City, and Greek Festival & Art Expo as well as the popular CASI Chili Cook Off for Charity. To celebrate Halloween there are numerous scary events including the SCARECROW FESTIVAL. Come down to Heritage Village in Crystal River, there'll be games, booths, food, kid's make and take crafts, a cupcake walk, hula hoop contest and of course the famous Haunted Hayride. The much anticipated annual GREAT AMERICAN COOTER FESTIVAL is also at the end of OCTOBER. Featuring entertainment, craft, food, turtle races, dragon boat display, kayak races, BBQ cook-off contest, children's activities, a dunking booth, Cooter Chariot contest, the Cooter Idol finale, and a frisbee dog show. 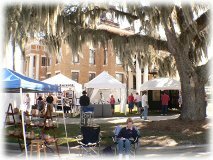 In NOVEMBER you can attend the annual Festival of the Arts, the Home & Outdoor Show, the Citrus Stampede Rodeo, and the Ozello Arts & Crafts Festival. But it is the Seafood Festivals that November is famous for. In Crystal River enjoy the annual STONE CRAB JAM with delicious food from local restaurants and a chowder cook-off. Treats include stone crab claws, crab cakes, clams, chicken, beef, cold beer and wine, art, crafts, and retail vendors. Blues, country, jazz reggae and rock bands-8 live bands to dance with under the stars! In Homosassa fill up at the ANNUAL HOMOSASSA ARTS, CRAFTS & SEAFOOD FESTIVAL. Old Homosassa comes alive with Southern delicacies, fresh seafood and arts and crafts booths. In nearby Levy County to the north, attend the YANKEETOWN SEAFOOD FESTIVAL with arts, crafts, entertainment, seafood and other culinary treats. 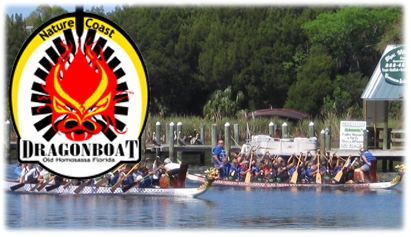 The Nature Coast Dragon Boat Club holds their DRAGON BOAT FESTIVAL in nearby Lake Hernando every year, normally in NOVEMBER. Dragon Boat events are one of the fastest growing sports in the world. It is probably one of the oldest team sports as well, having been originated in China in the second century BC. A significant aspect to Dragon Boating is the range of ages of the participants. The Homosassa Club’s members range in age from 20 to over 80 years old; in addition, half the team is female. The Club has its own Dragon Boat and Voyager Canoe at its training facilities in Old Homosassa. Practices are on Monday and Wednesday at 9 AM. Everyone is welcome to join. Find out more about them at their website. In DECEMBER, don't miss the FLORAL CITY HERITAGE DAYS. Famous Orange Avenue is closed to vehicular traffic for the annual "CANDLES 'N' CAROLS" event. A horse-drawn wagon filled with visitors will have the opportunity to view the giant Christmas cards, decorated homes and a thousand Luminaries lining historic Orange Avenue. Numerous groups of carolers and musicians dot the avenue to serenade the visitors. The evening has all the ingredients of a wonderful old-time Florida family gathering. You can also attend the CHRISTMAS TREE LIGHTING in Crystal River, as well as the annual CHRISTMAS PARADE down Main Street. 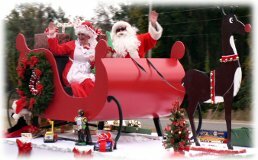 Another popular event is the HOMOSASSA RIVER CHRISTMAS BOAT PARADE and the CHRISTMAS CELEBRATION OF LIGHTS. Rock Crusher Canyon attracts thousands to the annual COUNTRY ROCKS THE CANYON concert, featuring popular country western performers to benefit charity. JANUARY marks the unique ANNUAL FLORIDA MANATEE FESTIVAL. The Manatee Festival promises a vast array of interests for its visitors. A Fine Art show will host exhibitors from around the United States, featuring items from watercolor artwork to breathtaking photography as well as sculptures, stained glass and unique one of a kind handmade jewelry. Live entertainment is provided continuously during this two-day event. Don't miss the PAUL BUNYAN LUMBERJACK SHOW. All with World Champion Lumberjacks, and much, much more! There is always lots of fun in the children's area. Sack races, games, crafts and lots more will fill your child's afternoon! There is also a rock climbing wall, pony rides, bounce house, face painting and much more! Continuous movies will also be on display to provide Manatee Education information to all visitors as well as Manatee Education booths designated to enhance the awareness on our endangered manatees. Over 25 food booths to choose from should guarantee you to find something you like and live entertainment is presented throughout the weekend. During the festival, you'll have an opportunity to take a manatee tour and see the manatee in its natural environment for a nominal fee. The festival is located in the heart of downtown Crystal River. FEBRUARY features more arts and crafts shows and includes The Florida's Department of Environmental Protection's Ellie Schiller Homosassa Springs Wildlife State Park's Staff Arts and Crafts Show and Sale. Also the Citrus Watercolor Show and Sale.